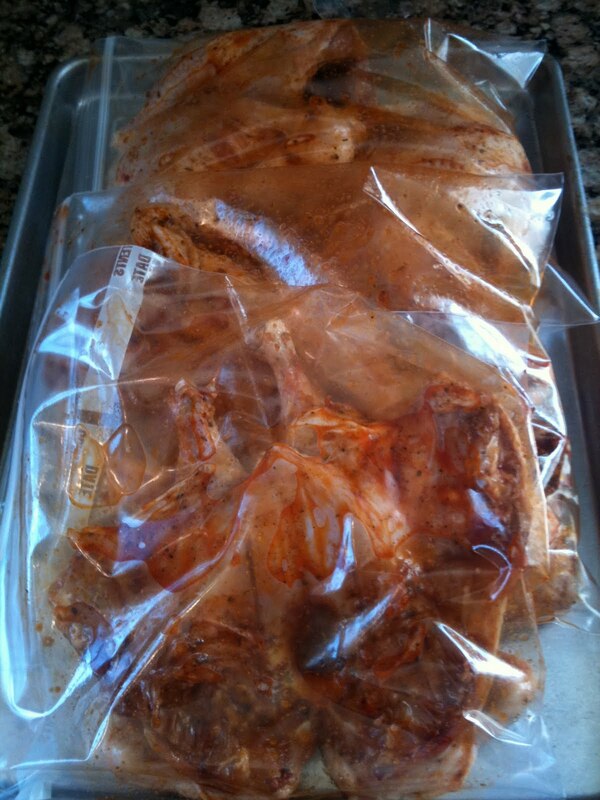 So my friends Jennay & Gustavo sent over a box of birds for me to cook up on my new grill. 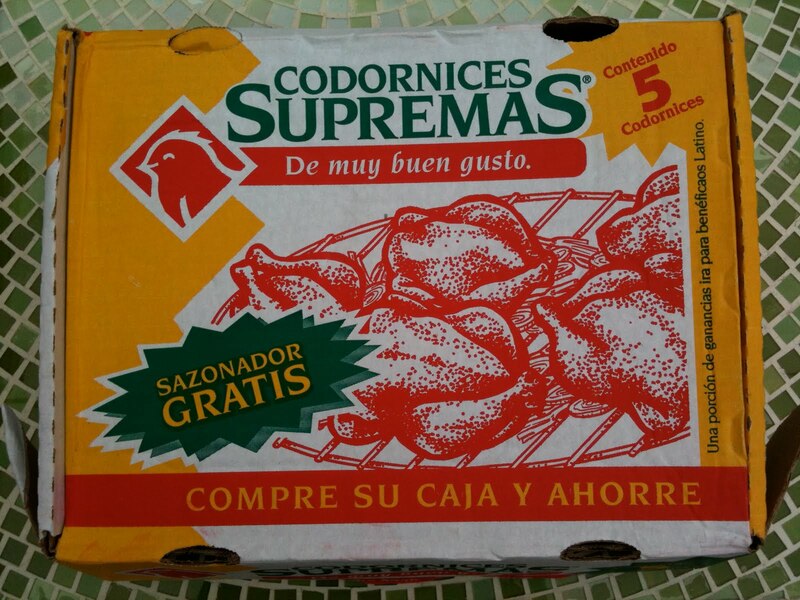 These are small Hens, there were 5 in this box, so I got right to it. I made a marinade and did some research on how to debone them. The deboning seemed a bit fussy for a grilled item so I opted to remove the back bone only and splay them out butterfly style. I rubbed them down with the marinade, put them into bags and set them in the fridge to absorb all the goodness for a least 4 hours. add whatever other spices spark your fancy for poultry. I was going for the yummy Mexi grill flavor. 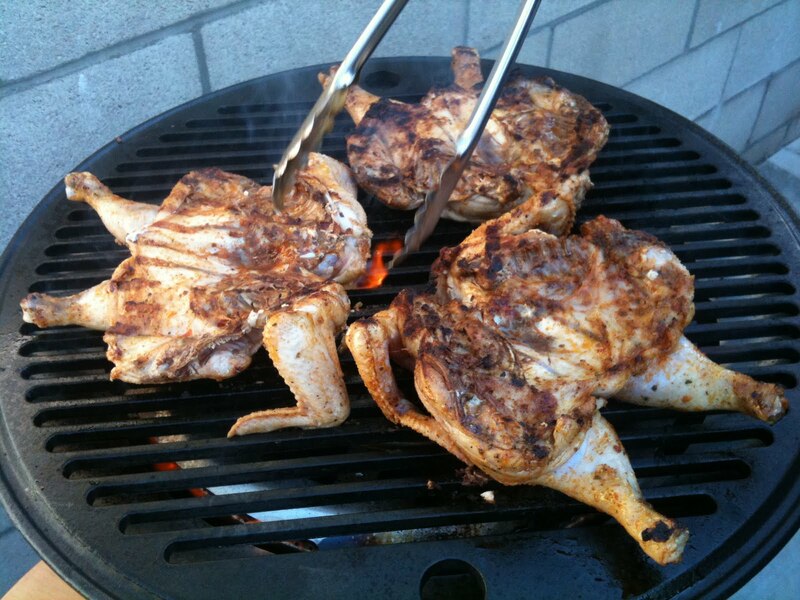 When you’re ready to grill, splay the birds on your hot grill. I did about 8-10 minutes per side until the juices in the thigh areas ran clear. The butterfly option helps to make better contact with the heat and they cook evenly and quickly. All 5 birds took about 30 minutes total in shifts. 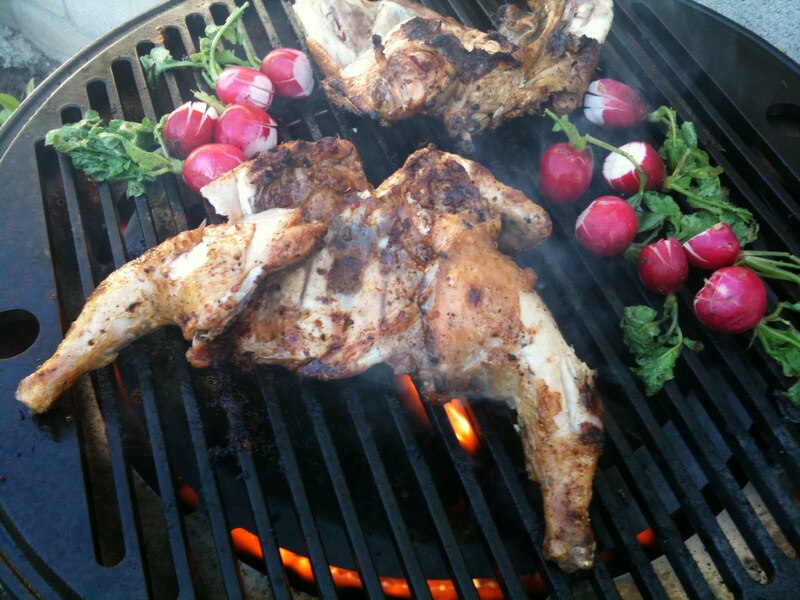 Towards the end of cooking I threw on some radishes just for fun, they were delish grilled, try it. Jennay made Mac n Cheese to go with our meal and it was splendid, she will be blogging this recipe very soon, yes that’s right Jennay I just called you out Sistah. 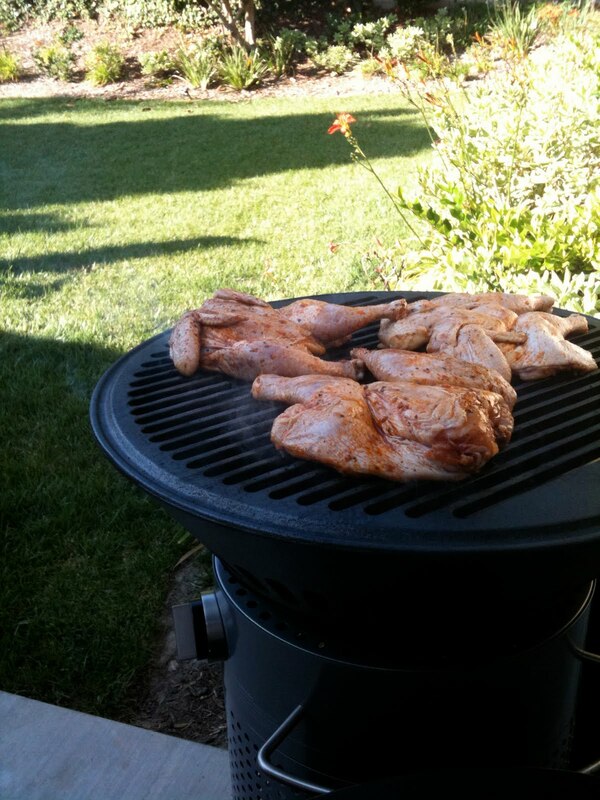 This entry was posted in Grilling by Sarah. Bookmark the permalink. >Yum! A box of birds is a must find! Can't wait to try this at home!! 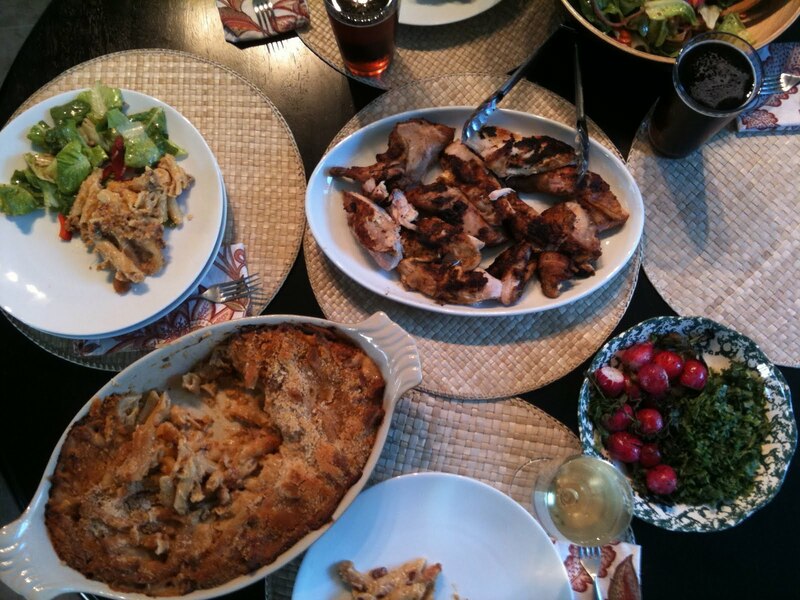 >glatiCook for you Uncle & Aunt this weekend! !